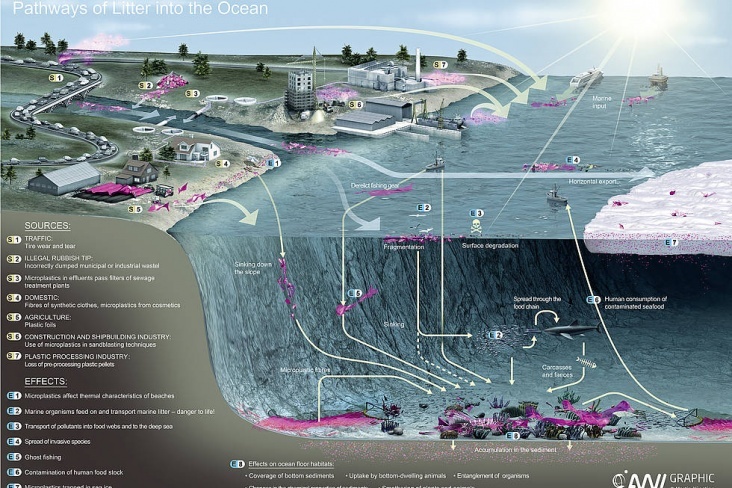 ALFRED-WAGNER-INSTITUT: Pathways of litter into the ocean. Plastic litter is now present in large amounts in practically all the oceans. But where does all the litter come from, anyway? And how does it end up in the sea? 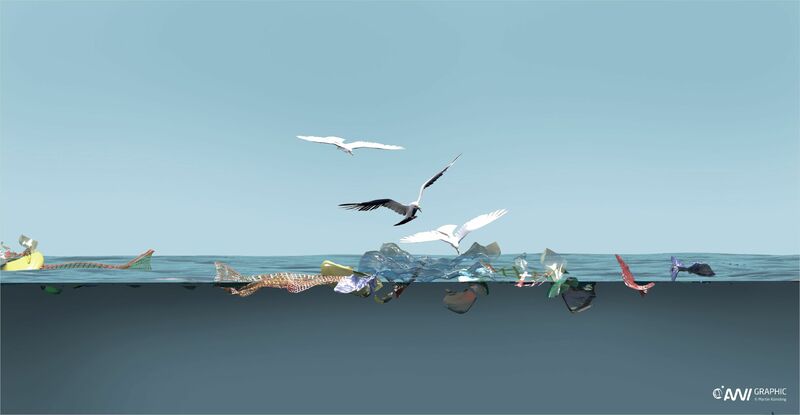 This infographic shows the pathway of the litter into the world’s oceans and the consequences that litter can have there. In addition to this graphic, you can receive more information by first opening the respective image in full view with a simple click. With another click on the image, it opens in the special photo view, where more text is available.